Cricket is nothing if not an evolving game. The earliest form of stumps was a wicket gate, which probably led to it being called a wicket. Nowadays, stumps have LED bails which show when exactly they escape the groove. Batsmen like Sunil Gavaskar and Viv Richards ruled the world without helmets, but the modern game is now too much of a risk to play without one. The advancements don’t stop at the technological level either. The introduction of new rules – powerplays, new balls and close-in fielders – has completely changed the dynamics of the game. But perhaps one of the most life-altering innovations in cricket came in the form of overarm bowling. Apart from the infamous underarm delivery bowled by Trevor Chappell, modern cricket has been strictly about overarm bowling since most of us can remember. But it has not always been so. Cricket first started out with bowlers running up and bowling underarm. While it may seem easy to bat against underarm bowling, it most certainly was not. If the bowler was good enough, the ball would come at a good pace with almost unplayable spin. What then prompted the radical change in thought to bowl overarm? Underarm bowling was more or less done as the same as ten-pin bowling. While the balls were obviously different, the action was much the same. Again, like ten-pin bowling, the earliest underarm bowling involved rolling the ball across the pitch and making the batsman sweep it off the ground. But very soon, bowlers realized that this type of bowling was at a disadvantage to them, mainly because there could be no variation whatsoever, and it was easy for the batsman to wait and play the ball. Therefore, something had to be done. The early 17th century brought forth the idea of pitching the ball while bowling underarm. Bowlers warmed up to this quite easily, for they found that not only could they vary their pace and length while pitching the ball, they could also impart some spin on it. The game of cricket which was leaning towards the side of the batsman was equal once more. This imbalance between batting and bowling would always be one of the talking points of cricket. But again, an obstacle was in their way. The earliest cricket bats resembled more of a hockey stick, and now horizontal bats were invented, with which straight strokes could be played. This helped the batsman counter the spin and lateral movement of the ball. Again, the cricket pitches were flattened out, and this enabled the batsman to gauge the bounce of the ball, which helped them play more easily. By the early 19th century, the batsmen were ruling the roost as bowlers ran out of ideas to keep them in check. Once again, a radical change was required, and perhaps it came from the most unlikely of people – a woman. 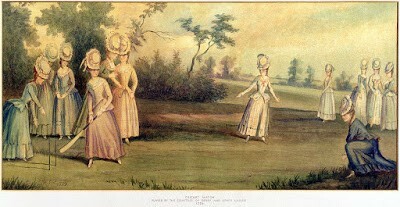 Among the early pioneers of women’s cricket was Christina Willes, sister of England cricketer John Willes. Though he did not make much of a mark in the game statistically, he is an important figure in cricket history, as he introduced the roundarm delivery in men’s cricket. This caused quite an uproar within the community as most felt it was against the rules. But according to legend, John Willes was not quite the inventor of the roundarm bowling, it was his sister who did it. 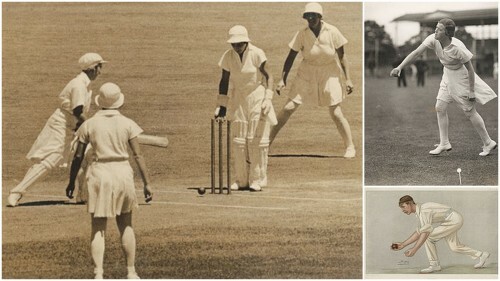 While women did play cricket, they could only do it wearing the long, voluminous skirts of those times. So obviously, when they bent down to bowl the ball underarm, more than often, the ball kept getting caught in their skirt. This was becoming something of a problem. Of course, wearing anything else was out of the question, so something had to be done to make sure the ball would not get ensnared. Thus, Christina Willes did what no woman – or man – had done before, and bowled roundarm. While some argue that it was overarm, and not roundarm – the matter was clear. Christina’s overarm bowling was warmly received by her brother – a bowler himself – who got the brilliant brainwave on using it against the batsmen who were dominating the game. John Willes first bowled roundarm in 1822 in a county match against MCC, and he was promptly no-balled. Seething in fury, he threw the ball down, mounted his horse and galloped away. He never played cricket again, but vowed to spread the innovation that was overarm bowling throughout the nation. The story spread like wildfire, and overarm bowling was the new sensation. By 1826, Sussex bowlers were regularly bowling roundarm and overarm, and the umpires were at a loss as to what to do. In 1828, the Laws were modified to include overarm bowling, but roundarm still prevailed. The umpires were given authority over judgment of the roundarm action, and confusion reigned. While umpires in one county accepted the rules, umpires in another did not, which led to a lot of outrage. Finally, 42 years after John Willes introduced the action to English cricket, the roundarm delivery was legalised by the ICC, and bowlers all over the world rejoiced. The battle between bat and ball was even again – for now. In the modern day game, roundarm bowlers have constantly made the news. Be it Lasith Malinga for his pinpoint yorkers or Mitchell Johnson for his natural aggression or even the retired Jeff Thompson for the fear he inspired in batsman. 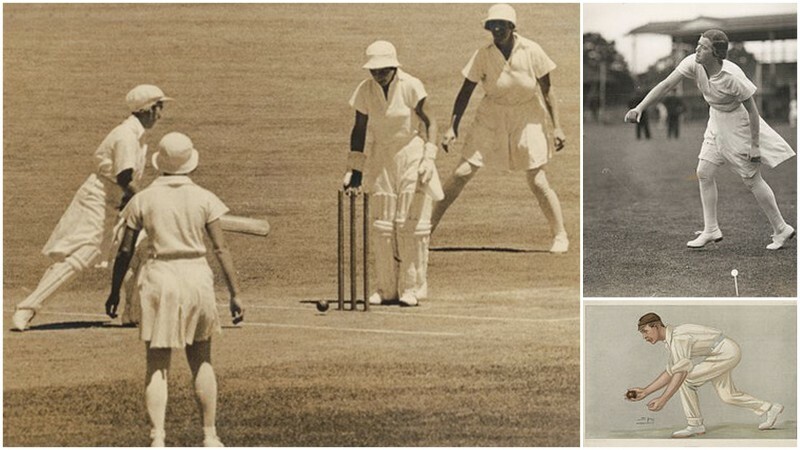 But it must never be forgotten that it was first invented on a hot English afternoon, when Christina Willes decided to bowl roundarm and changed the face of the game forever.